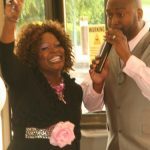 Thomas Sligh and Treasures of the Heart Ministries have been collectively singing praises and spreading the gospel’s good news through song for 12 years. 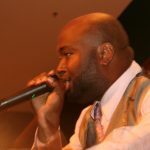 On Saturday, June 1, the group and many of their friends converged on Frederick Community College to celebrate their accomplishment with a joyous songfest. 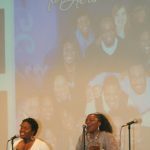 Treasures of the Heart Ministries got the night started by introducing the audience to “Shouts of Joy” their new praise song. When they launched into the popular “Holy Ghost Party” the theater turned into one big choir as everyone sang along. 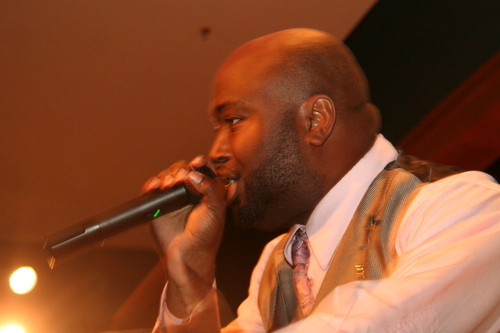 Darnell Jaxon, a new Christian recording artist from Philadelphia debuted his original song. The catchy tune, “Glad that I can call on you” captivated the audience as they sang along. Jaxon’s wife joined him on stage for a song that electrified the crowd for the Lord. 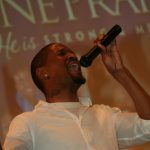 Divine Praise Music Ministry created an atmosphere of praise and worship with “You Are Awesome.” They also traveled from the city of Philadelphia to celebrate with Thomas Sligh and Treasures of the Heart Ministries. 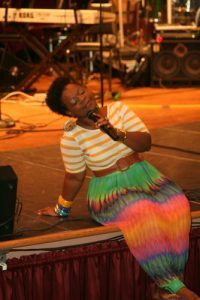 There was also another new Christian recording artist who got to display her vocal skills with her original song. 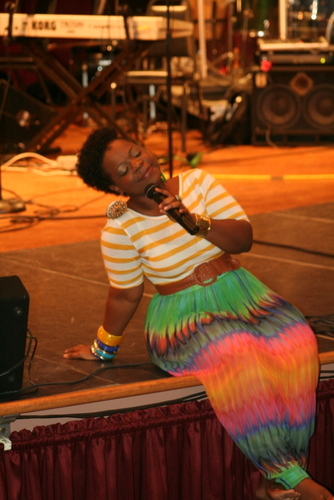 Kenya Curry of Montgomery Alabama, presented a fresh soulful vibe as she offered her original love song to God. Things got so good, Curry took her shoes off, and sat at the front of the stage, basking in the glow of God’s presence and taking the crowd with her. 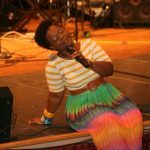 It was her first visit to the DMV area and most certainly won’t be her last as she is sure to be on the radar of those who heard her ministry in song. Sligh was impressed with the performance of Jaxon and Curry. “I truly believe these artists created a historic moment as they were featured for the first time launching their solo careers,” he said. This was truly a great celebration and it that ended on a high note. 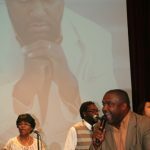 A few audience members wanted Treasures of the Heart Ministries to sing “Praise Your Way Out” before the concert and continued with shouts of “Praise You Way Out”, until the group gave them what they wanted. As the program ended, people danced out of the door into the lobby, capping off a night of jubilant praise. ECMA and Spirit Enterprises Henry Harris and WBGR Online James Kelly Fox Davis were in attendance. Treasures of the Heart TV host Vonetta Wideman, conducted interviews with guests as they walked the red carpet. Check out the video here.